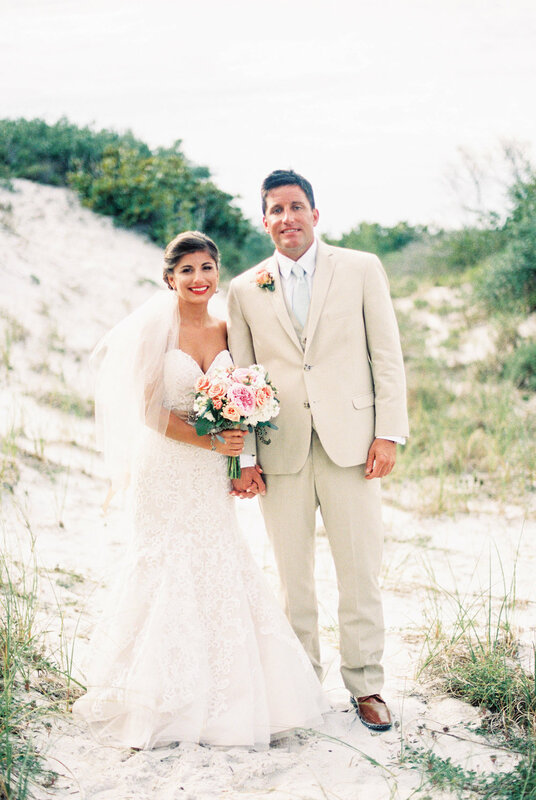 I am so excited to share this gorgeous beach wedding at the Portofino Island Resort from June 4, 2016! Katie and Patrick were glowing the entire day, and all the guests could see just how happy they are! The day started with rain, and ended with rain, but the sky cleared up just long enough for a water front ceremony! A portion of the day that really stuck out to me, was the Father of the Bride's speech. In it, he described how Katie's mother had taken great care to make sure the wedding day went just right, that all the details were properly curated and planned for. He explained that this came as no surprise, since throughout Katie's life, she has worked hard to make sure that all the details were taken care of and properly prepared for (swim practice, school, etc). What a beautiful comparison and what a substantial demonstration of love!! Hair & Make-up - Jmuah!